Deep sea fish. 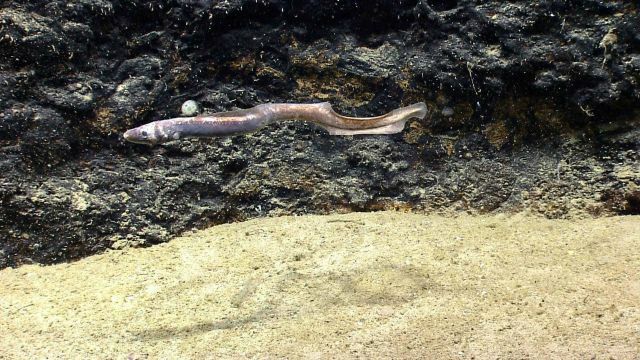 A synaphobranchid or cutthroat eel swimming next to a rock outcrop. Note its undulating body.